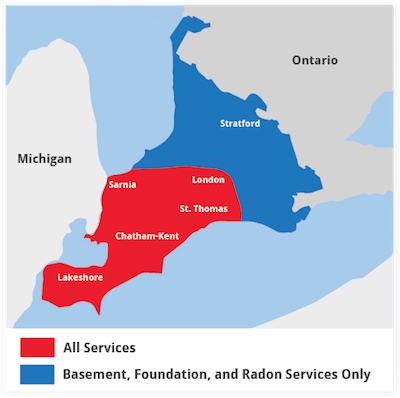 Advanced Basement Systems is your local Basement Systems dealer in the Ontario area. Our waterproofing systems feature Patented, Warrantied Products that have been installed in homes since 1987 across Canada, the United States, and the United Kingdom. Each free quote we provide includes an on-site inspection, basement waterproofing system design, and a written proposal with a 3-D simulation of your new finished space! We'll also send you a copy of our 88-page full-color book - "Dry Basement Science" as a complimentary reference and learning guide.